Kenneth Christiansen chats with us about the legacy behind his 17-year-old record label. The tradition of delivering quality music to people has been Danish DJ Kenneth Christiansen’s life work since the days of working at a record store in Copenhagen. Kenneth was always inspired by the music coming out of Berlin and the Hardwax camp like Basic Channel and Chain Reaction. “At that time I had been thinking about starting a label for a while, but when I met Mikkel Meldgaard AKA Mikkel Metal for the first time and heard his demos, I decided to do it,” says Kenneth Christiansen. Stimulated by the idea of sharing good music, Christiansen got in touch with Wolfgang Voigt and Michael Mayer of Kompakt, the Cologne-based electronic music record label and distributor, to make the distribution deal. “I already had a good contact at Kompakt in Cologne, and they supported me from the beginning,” adds Kenneth. This arrangement officially resulted in the foundation of Echocord Records. It all began in 2001, the year Echocord was officially established and with it came some of the finest electronic music productions coming out of Scandinavia. “After the first releases, I suddenly got contacted by other respected artists, like Rod Modell, Quantec, Thomas Fehlmann, and more. They were all into doing some releases and remixes. It slowly grew, and suddenly I had a lot of good demos.” said Kenneth. To this day, the label has hosted projects from dozens of artists who keep coming back for the high quality. The label continues to deliver electronic music varying from electronica, dub techno and house. Known for releasing deep and dubby electronica, Kenneth has never relied on trends but rather on his true passion and vision for the label, a virtue that laid the foundation for the label’s longevity and status within the electronic scene. Echocord is something of a staple in the second wave of dub techno, always delivering solid dub techno sounds. “The deep and dubby sound. Quality electronic music for home listening and the clubs. Mostly you can hear if it’s an Echocord Records production—trying to stick to the sound.” adds the label head. Although, Christiansen is somewhat sceptical about the nowadays electronic music scene, expressing that “I think it’s all too much about hype at the moment and not about music quality.” In Copenhagen, Christiansen and friends made an ode to techno with their own venue called the Culture Box, a small place to intimately share their love of the genre along with those hip to the scene in the city. Recently Kenneth stepped out of the club and is now working full time with his labels, gigs and Echocord shows. 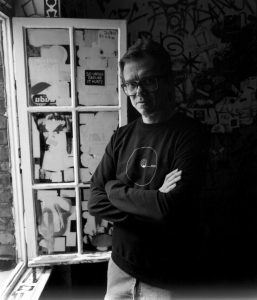 Kenneth began to DJ in the late ‘90s in some of the key European places gaining a reputation for his unique style and refined taste, fueled by his broad knowledge of the underground dance music. Kenneth is also one half of Pattern Repeat with Dennis Bog. The pair release on their eponymously entitled label and excel at crafting moody, textured and widescreen techno sounds that draw on years of dub culture. 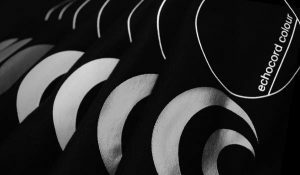 Christiansen’s ability and motif to run the label and the strong bonds created with talented artists involved in the label over time, like Mikkel Metal, Deadbeat, Luke Hess, Roberto Clementi, Brendon Moeller, Fluxion, and many more, inspired him to broaden the label by creating a sub-label, Echocord Colour, in 2008. 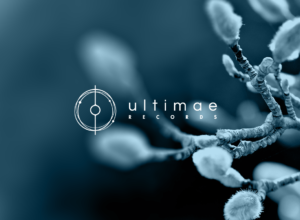 The label was founded with the aim of releasing the numerous demos he had been receiving on another platform where dance floor music is the theme. The sub-label has also developed its own sound character, as Christiansen says that it “has always been a label for the more techno orientated materials, more for the floor. It can be harder and more experimental, and today it still is.” The next step is seeing the birth of another Echocord sub-label, Echo Echo, that launches in May 2018. More than a decade after starting his label and sub-label—there have been almost 100 EPs and LPs that have constantly updated and revisited the techno and dub template and have very much contributed to the careers of those that release on it. “The music profile from the first releases up to now changed a bit. The sound is a bit broader, can be with vocals, sometimes more powerful for the dance floor etc.. Many more artists are now releasing on the label, so of course it’s a ‘bigger’ label now. With the sub-labels, it has grown into a big family over the years,” revealed Christiansen on how Echochord has progressed over the years. For this occasion, Kenneth Christiansen did a 1-hour mix consisting of new and old material released on Echocord and the sub-labels. 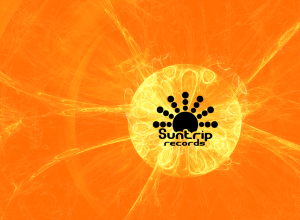 Suntrip Records founders talk about their views on the psychedelic trance scene, changes over the past years, and label’s future work. 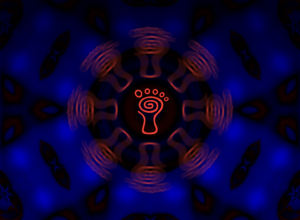 The Danish-based label shaping the psychedelic trance music for more than 17 years. We had the chance to talk with the founder Giuseppe Capopepito and get to the roots of their sound and vision. We had the chance to talk with the French label founders to get more insight about the label and their long journey into the world of ambient and downtempo music.